Wedding and Lifestyle blog featuring ideas on how to save money on your wedding, wedding tips, inspiration, DIY and unique details . My first offering is this gorgeous Fluted Dress from Next. This fit and flare shape will be flattering on most bridesmaids - highlighting their waists. This dress has a modern twist by incorporating mesh panelling on the sleeves. This dress retails at £45 and is available from next.co.uk. This dress is also available in a plum colour. 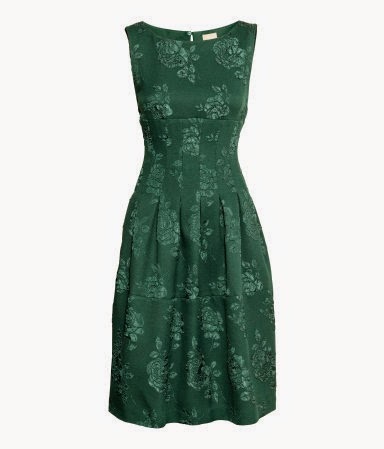 I think this Mint Short Dress from BHS has a real fifties feel to it. I think that the pleated waist band and the flare of the skirt fit in with this decade. This dress is currently half price and retails at £40. I don't think that you can get more vintage fifties prom dress style than this offering of the Coast Darling Bandeau dress. This satin dress is in a delicious cornflower blue colour. 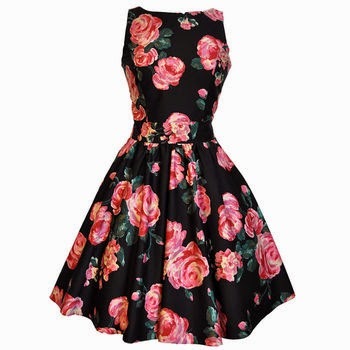 I would love to see this dress paired with gorgeous patient red heels and statement pearls. This dress is available from Coast at Debenhams and retails for £150. How about this Fit and Flare Sash Waist Prom Dress from Marks and Spencers? Available in dusky rose, fawn, dusted mint and dusted lilac. I think these make a gorgeous statement and would go perfectly with a Candy Anthony style bridal gown. These dresses are available up to a size 22. They are fantastically priced at £59 each. 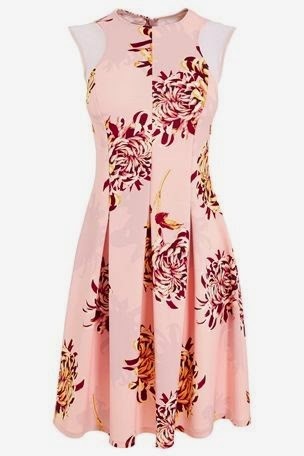 I think that this Brocade dress from H&M would be a great bridesmaid look. The brocade pattern gives a real vintage feel and the pleating adds to a great shape. I also love this shade of green! I think it would look fantastic for an autumn wedding. These dresses are available from www.hm.com and retail at £39.99. It is also available in black and red. Feast your eyes on this stunning Amber Crinkled Chiffon Short Dress from Ariella London. 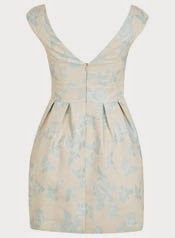 I love the range of dresses on the Ariella website and this dress is no exception. I think that pattern is gorgeous and would work well with a floral themed wedding. This dress is available at ariella.com and retails at £95. 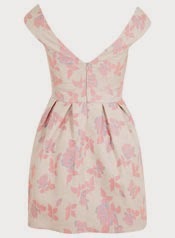 This Petits Pinks Rose Bardot dress is a pretty option currently on sale at Miss Selfridge. If you have ore than a couple of bridesmaids you could always opt to mix and match between floral patterns and block colour dresses. This dress is also available in a blue print and both are on sale now for £25! 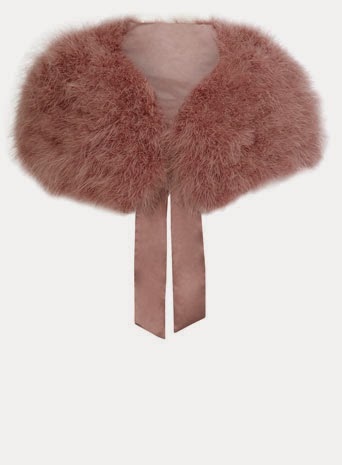 Check out this gorgeous Pink Feather Bolero from BHS - this would add a real vintage feel to any bridesmaids dress. It is from BHS and is priced at £35. Visit Borrowed Blue's profile on Pinterest.